Among Mexico’s fairest and most popular lotteries is none other than Mexico Melate Retro, a rollover lotto game with jackpots that start at a guaranteed MXN 5 million (€230,177). 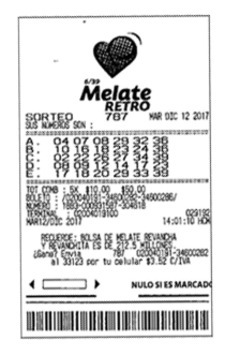 Since its debut on the Mexican lottery scene in June 2010, Melate Retro has allowed people to experience what another popular lotto, Mexico Melate, once used to be. In this review, we’ll find out how the two games compare and determine if Melate Retro is worth investing your time and money into. As mentioned above, Melate Retro is essentially a nod to the game that its older brother, Mexico Melate, used to be before it underwent several format changes over the many years it’s been around. This is because it has the same 39-ball format that Melate used to have—which is why the word “Retro” is in its name. 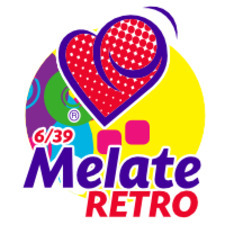 Operated by Pronósticos para la Asistencia Pública, which literally means “Forecasts for Public Assistance,” Melate Retro was launched on June 1, 2010. Pronósticos, as the name is usually shortened to, is a decentralized public body that has been raising funds via betting and betting-like activities (such as lotteries) in order to fund various public initiatives around the country since February 1978. Mexico Melate Retro is a pretty unique lottery because it only has a pool of 39 balls (numbered from 1 to 39), and to win the jackpot you only need to match six of them. As a result, the game’s odds are quite good compared to most other national lotteries. A seventh ball, called the “Adicional” (additional) ball, is also drawn (from the same pool), but this ball only determines the winners of the second, sixth, and seventh prize tiers—and to win the seventh prize tier, which is the last one, you only need to match two numbers! If for whatever reason you don’t want to choose your own numbers, you can opt for the Quick Pick option, which will randomly choose a set of numbers for you. Buying a Melate Retro ticket within Mexico costs only MXN 10 (€0.46), but if you play the game online from abroad, the price for a single line will likely be a little higher. Other lotteries with comparable odds include Italy MillionDAY (1 in 3,478,761) and Chile Clasico Loto (1 in 4,496,388), though the latter sometimes offers much bigger jackpots. If you don’t mind facing tougher odds at the prospect of winning significantly bigger windfalls, then Japan Loto 6 (1 in 6,096,454), Australia Saturday Lotto (1 in 8,145,060), Austria Lotto (1 in 8,145,060), and Hungary Hatoslottó (1 in 8,145,060) are all worth checking out. The Melate Retro draws take place every week on Tuesday and Saturday nights at 9:15 pm (CST) at Pronósticos’s central office in Mexico City. The results are aired on TV and radio and published on various lottery websites immediately after each draw occurs. Prize winners have 60 days from the day of the draw to claim their prizes; otherwise, they are considered forfeited. The biggest Melate Retro jackpot ever recorded took place on November 24, 2015, and its lucky winner walked away with MXN 44,657,863 (€2,055,845). While this is quite a bit smaller than Mexico Melate’s biggest jackpot, it’s still a pretty great windfall, all things considered. All Melate Retro prizes, from the grand prize all the way down to the seventh-tier prize, are paid out in cash as single lump sums. In case you’re curious, the game does not offer the option of annuity payments. Mexico’s standard tax 7% rate on lottery wins applies to Melate Retro. If your home country is among those that tax lottery wins, then your winnings might be taxed a second time later on. However, if your country’s government doesn’t tax lottery wins, then the 7% deduction is the only one you’ll have to bear. Just like Mexico Melate, physical Melate Retro tickets can be purchased through one of the 9,000+ Pronósticos agencies that are scattered around the country. However, a much easier way to play, especially if you’re not actually in Mexico, is to play the game online through the world’s best lottery websites. For a small fee, these types of businesses take all the hassle out of buying lotto tickets, verifying winning numbers, and claiming prizes so that you can simply focus on the thrill of playing—and hopefully winning something big—instead. Mexico Melate Retro – Is It Worth Playing? Given its great odds, seven prize tiers, and cheap ticket prices, Melate Retro is at the very least worth checking out. 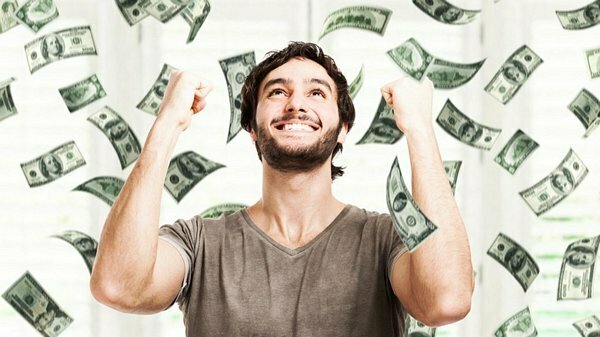 While its jackpots might not always be big enough to set you up for life, they are enough to buy a new house, car, or whatever else would make your life cushier and much more comfortable. As such, we have no qualms about recommending this game to lotto players who are looking to add a bit of Mexican spicy to their lottery experience. Until I did read this article I did not even know that "Melate" and "Melate Retro" are two completely different games! For the longest time I thought the "Retro" part means something like the Revanche or Revanchita draws! Now that I know the difference and that the Retro game actually offers much better winning odds, I think I will play this one instead. Thanks.